Our assignment today is to get involved with social networks. I must admit that is something I have been resisting. Courting publicity seems quite alien to me. Yes I know that’s crazy … Why blog unless you want other people to read it? You may well ask! When I first started blogging I wrote anonymously, too fearful to use my own name. After a few months I felt comfortable starting a new blog as my real self. I didn’t tell anyone about it. I didn’t connect with anyone. I just experimented. I tested various WordPress themes, I wrote experimental posts and added photographs to see what I liked. Then when I was happy with my own blog I started reaching out to other bloggers by liking and commenting on their posts and recently by joining in with some link parties. It has been a slow process! I don’t know if my reticence has anything to do with my being English or if (like so many other new things) it’s just fear of the unknown. But I forced myself to get over my fear and to contact people I’ve discovered online. I’ve had a mixed reception I must say. Most bloggers seem to be friendly and welcoming and encouraging. Other more experienced bloggers ignore my attempts to connect with them. I find that rejection quite baffling. If someone plucks up the courage to send a comment surely it’s polite to reply? Anyway that’s their choice and says more about them than me I think. I don’t take it personally. Link parties are very much like a real life party I feel. There will be people you would like to talk to and others that you’d rather steer clear of and that’s fine. Since I have been blogging a very strange thing has happened. I have discovered that I actually like connecting with new people. I enjoy finding out about life in another garden, another town, another country, another continent. There are differences and there are similarities and I find all of that fascinating. So I am learning to be more social. I love sharing my knowledge and my photos so it’s up to me to find out what readers want to know and figure out how to deliver that information. Here are some of the networks I have started using to connect with others and help to grow my blog. Pinterest. I love this because it’s so quick and easy to set up. I have already set up 21 boards on which I have pinned some images that I found online and 1 board for Country Garden UK. Now I need to start connecting with other Pinners but I haven’t figured out how to do that yet! Google+ When I have published a post on my blog I add it to my Google+ page. Again it’s quick and easy but I’m not sure what to do next. There’s obviously more to it… but what? Share Likes I share other bloggers posts in my side bar on the right of this page. I use the POSTS I LIKE widget and I have set it to display images rather than text. Scroll down this page a little to see it in action. So I feel that I am making progress. It is early days I know. And I will figure it all out! What I would really like to do now is share your posts in a special weekly event. To start with I wondered about showing a photo of a STAR PLANT in your garden or a park or garden that you have visited. It doesn’t have to be rare or unusual just looking good that week. It could be a wildflower or weed, a tree, shrub or climber, annuals, perennials or bulbs even seed heads. You could just submit a photo or write a short post/story about your chosen plant. So at the end of the 30 day challenge days we’ll have 4 posts of images with links to your site. I would really appreciate your thoughts on this idea and I have a couple of questions. Would you like to join in with this STAR PLANT weekly event? Which day of the week would you prefer to see the post published? Would you like some tips for taking better photos? Thanks very much! Please get in touch. Your ideas and suggestions are most welcome. I think your photographs are stunning. Hi Susan. Thanks for your comment. You made me realise that I should allocate time to visit my readers at their own blog pages. Thanks for that! Are you interested in joining in with the Star Plants event that I’m setting up this month? I think I could manage four star plants, but I am not sure I have four that are blooming just now that I would class as stars. Could you pick a different month to feature for each week – or would that just make it too complicated? It would be good to see what other gardeners choose. I don’t mind which day, though maybe avoid Bloom Day and End of Month View, whatever day they fall on next month. As for your comment about being ignored by more seasoned bloggers, I think some people just have too many comments to reply to them all and certainly to follow every one back that follows them. To follow another blog properly takes quite a bit of time, so I guess we all have to pick and choose as many as we can manage in the time we have available. Photo tips are always appreciated. We can all learn from each other. Thanks very much for your comment Annette. I would like to stick to something flowering in that month, or some autumn leaf colour or seed heads, either in your garden or elsewhere. So if you didn’t want to/couldn’t join in every week that would be fine. And yes, I quite understand that seasoned bloggers are busy people… and most DO manage to reply to their comments. OK will see what I can find. Sometimes it is quite difficult to find time to blog when the garden is calling. Obviously when the weather is good, we are out, working in the garden, but when it is raining, I have more time to write about it. I could probably manage to take part now and then, but wouldn’t want to commit to every week as I already have quite a few “memes” that take quite a bit of my time. I feel that if people are good enough to leave a message, then it is only polite to reply, however the people I’m thinking of are very good at leaving messages on my blog, so wouldn’t want to lose them. That’s good to know Pauline. I’m very happy for you (and anyone else for that matter!) to join in when you feel like it. Oh that’s wonderful, they will have time to settle in before the cold weather arrives. I hoped you would have time at the weekend. Thanks for your ideas regarding timing. I like the idea of posting on Fridays. I have not seen that book so will look out for it now. Flower shops do that to me too! Thanks very much for the Amazon tip Crazy Stork Lady. How are you doing with 201? Been off the pace a bit, need to check in on last night’s assignment – the whole arriving in your inbox at midnight isn’t ideal is it?! Trying to get better at Twitter though but I’m def not a natural! I really like meeting all the other 201-ers though. You? I am enjoying 201 but there aren’t enough hours in the day to fit everything in! Star plant would be a good way to learn new cultivars or species. I might not do it every week, but it sounds cool. Winter would be challenging, but doable. I find the social aspect very compelling on WP. It is really about interacting, so I spend a lot of time reading other blogs. I’ve learned a lot that way, particularly in photography. Plus there’s a whole lot of kind and talented people out there! I’m beginning to wonder if the title is putting some people off. In October for example the stars in my garden would probably be some seed heads which aren’t necessarily showy but they are absolutely beautiful when you really look at the detail. Perhaps I should change it to Looking Good or something else. And you are so right about interacting. It can be difficult to fit it all in but if you don’t do it you definitely miss out. Maybe ‘Favorite Plant of the Week’ or something like that. Often folks are reticent to agree to something before they can “see” what it is. I’d suggest going ahead with the project and when they see what you’re up to, will feel agreeable to join in. Lead on! Thanks for your encouraging message Eliza. I am going ahead with it and I will publish some guidelines soon. First one this Friday 25th September. I do hope you will be able to join in if you have time. I will look for your post! What an interesting subject, I’m pleased I’m not the only one who finds social media daunting. Having started my first website this year I’ve been amazed at how encouraging people can be – I wouldn’t have got a without this. Good luck with the meme, I’ll be interested to see what people select and if I can I’d like to join in if time allows. I think that most people find it daunting at first Kate. Social media feels like swimming through treacle sometimes! I’m starting this Friday with my Looking Good/Star Plant event so if you can join in that would be absolutely brilliant. Seed heads/Grasses/Leaves whatever is looking lovely right now. I will post more about it later today. One of the social aspects I like about blogging is that people follow you because they are interested in your topic. I am thinking of opening a twitter account linked to my blog for the same reason that people choose to follow if they are interested. Your idea sounds good, I would be in for it. That’s brilliant Jill and I am delighted you can join in. It’s the first one this Friday 25th September. Watch this space for more info! I am just finding your blog through your comment on my blog a few days ago. I’ve been rather busy and am just getting a chance to comment back. I like the idea of a star plant posting link. I have been thinking a bit about being more active with my blog on other media sites. I think I will check out the 201. Thanks very much for visiting and commenting. I would love it if you can join in with the star plant/looking lovely event. The first one is this Friday 25th September and I will be publishing more details soon. 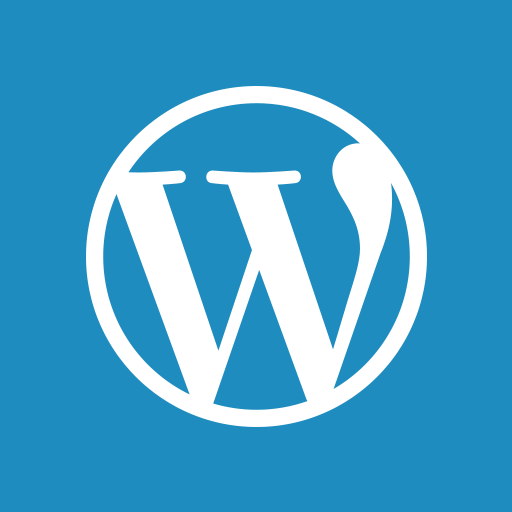 WordPress run the Blogging 201 event frequently and it’s well worth signing up for it. Where do I start? Super idea and I’d love to join in when I can. Although my pics may be weeds! I think you are right though that Star Plant may be putting people off. In the middle of winter it may well be seed heads or a spiders web on a holly tree. Although that last one may be stretching the theme a bit. I am loving the connecting with people and most people you meet are lovely and happy to chat. I was a bit intimidated at first as well but am certainly getting into the swing of things. recently started onto Instagram as well. Have you looked at that? I have my Instagram account linked at bottom of my blog and it updates as I add photos on Instagram. Brilliant. I am so glad you got in touch with me and I would be so happy if you can join in. I think it’s good to leave the subject open so you can choose something that appeals to you and suits your blog too. It could be weeds/wildflowers or fruit/fungi… anything that looks beautiful when you really look closely at it. I saw a photo of a gorgeous log store the other day and garden tools, buildings/sheds and terracotta plant pots are often charming too. Instagram looks great but I don’t know much about it. I’ve just taken some photos with my phone this afternoon and struggled to see the screen because of the sunlight so that puts me off a bit. I will check out your instagram pics. Do. I blindly fumbled my way through Instagram. There are lots of editing tools on it so you can make the photos take on a sepia filter or black and white or really ramp up the contrasts of your lights and darks or even blur the edges to focus on one spot in particular. It’s a lot of fun once you get into it. I am trying to put up two pictures a week on it and have I a link to my blog on my Instagram profile. Would love some tips on taking more photos. Every little bit of advice welcome. Your photos are so gorgeous. Righty Ho! Thanks so much for your feedback. I have lots of ideas for this link up event and photo tips too…. now I just have to write it! coming via Gail at Clay and Limestone’s Wildflower Wednesday. About Google plus? It is SOCIAL media. There as with blogs, you need to ‘work the room’, get out there and engage. There’s so much social to choose from, we each choose the one(s) that work for us. Since I only post weekly, I am happy to join WFW but a weekly meme is not for me. that you have links right at the very bottom. I’d prefer to find that easily right at the top. For a garden blog the first thing I want to know is where you are. I’ve found North West England here, and Lancashire on your G+. Sorry you struggled to find the info you wanted. I appreciate you taking the time to contact me to let me know what you think.